Watch an overview of what Nimble can do for your business! 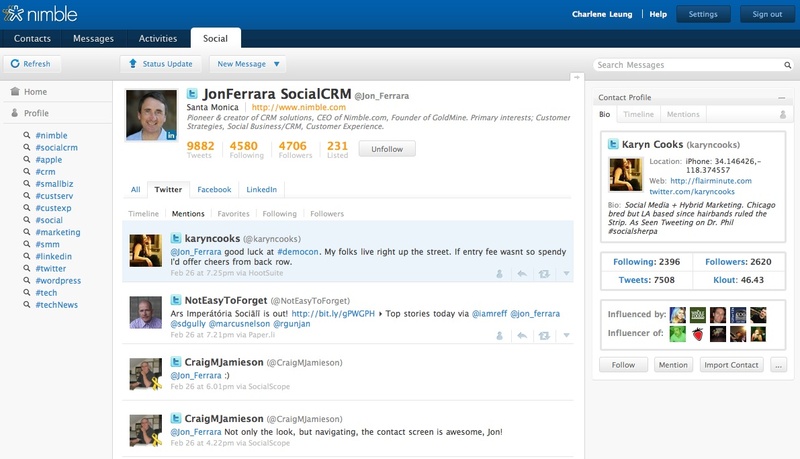 Follow tweets and status updates from Twitter, Facebook and LinkedIn on one screen. Automatically see public profiles to quickly identify key prospects. Get Started Now - 14 Days Free! 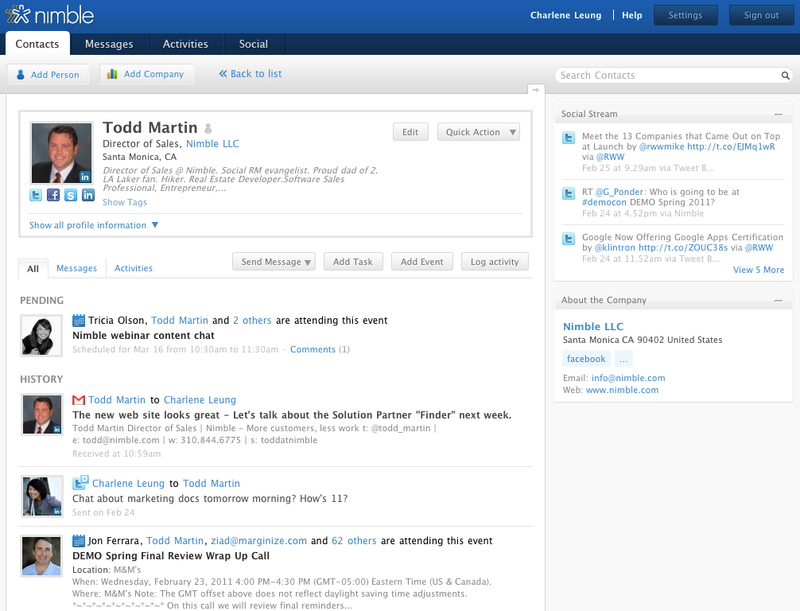 Nimble Contact is for single users and free-of-charge. Nimble Team is for groups and is available for $15/month per user. Start enjoying the simple power of Nimble today! Manage all of your business contacts in an easy-to-navigate screen. Receive all emails, tweets and status updates in one inbox.